Q: My ten year old daughter loves art and has recently expressed an interest in clay. We bought a pottery wheel from Michael's arts and crafts store but it was less than what we imagined. For starters...every time you put even a small amount of clay on it and try to start working, the wheel stops turning. 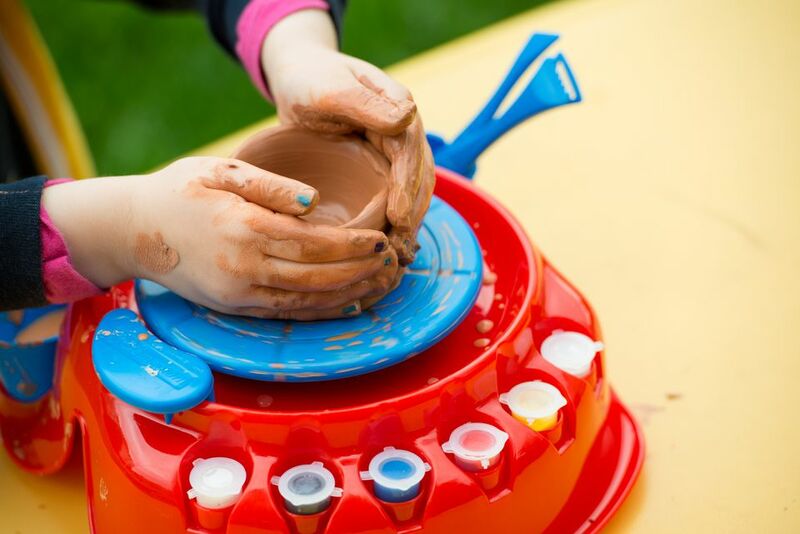 I've looked online and come across many other "kids" pottery wheels, but I'm afraid of getting stuck with another piece of junk that won't even work the way it's supposed to. There aren't many customer reviews to go by on these products and we don't have hundreds of dollars to spend on one either. I was wondering if you, as an experience potter, would have any suggestions? horsepower and torque needed to throw clay. If you want to get a wheel that can really be used (as more than a glorified banding wheel), I'd try looking for a used one. See How to Find Pottery Wheels for more information. made using the pinch, coil, and slab techniques...all without a wheel. Check out my section on Hand Building Techniques, beginning with Basic Hand Building with Clay. What Are Some Classic Pottery Hand Techniques?